Quite often, contractors and anyone else involved in the project find themselves in a situation where a building takes longer and costs more to build than expected. This is the case because with some projects they simply fail when it comes to coordinating all the assignments and dealing with errors that come up. Luckily, as we see technology advance more and more there is a solution to this problem and it’s called Building Information Modeling or BIM. This is a piece of technology that allows experts to display blueprints clearly in 3D and provides them with all the additional information necessary for completing the project quickly and efficiently. But what’s the digital planning of buildings all about? How does it work? Why do we need it? And what does it mean for the future? Read on to find out. What’s the reason for using smart data? There’s no need for us to say that there are so many things that have to be done when constructing a building. Operating cranes, pouring the floor, and inserting power cables in walls are just some of the things that have to be done in order to bring a building to life. And you probably believe all of these make a perfectly choreographed process. However, with all those things that have to be done, achieving perfect cohesion is almost never possible. Not only do things like this make contractors’ job more difficult but they also result in irritated clients, added costs and huge delays. Since there’s nothing contractors can do in order to get this problem solved, a change in technology needed to be made. Thanks to experts who work in this field, the entire construction industry is now turning towards smart data and virtual world. More specifically, the industry is now relying on BIM, the technology we’ve already mentioned above. This means there are no more static 2D blueprints that were responsible for all the misunderstandings and the contractors can now rely on 3D blueprints which tend to be more accurate. How does the digital planning of buildings work? 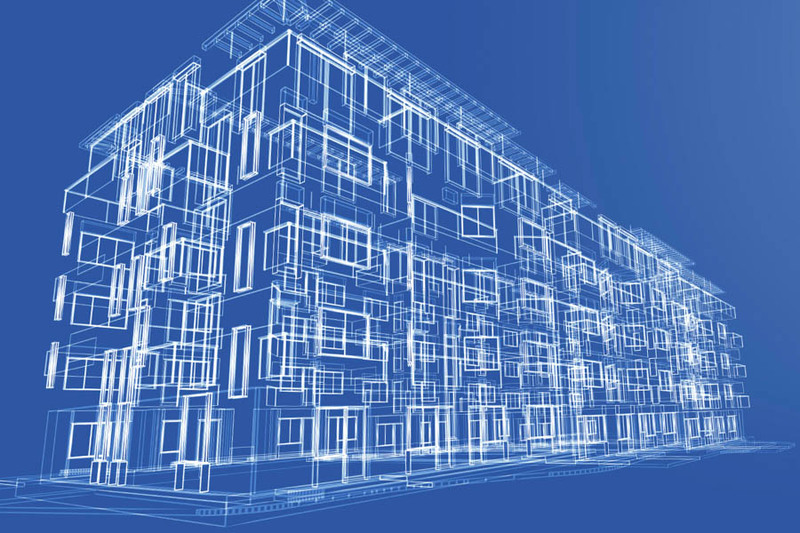 The digital planning of buildings by using 3D blueprints is what building industry is all about at the moment. These things are designed to plan the process of construction to be as quick and efficient as possible. The key to BIM is the use of virtual model that contains all the data about the project. Basically, this model is a digital twin of the building that’s being constructed. This digital twin is used to collect data such as costs, deadlines and technical specifications which makes contractors’ job much easier. This is done by linking all the phases of the project to the necessary information, and this results in all the data used in the project coming from a single source, which wasn’t the case with traditional planning of buildings. Therefore, BIM allows the specialists from all the field to access the same 3D model and use identical data when planning their work. However, it’s not only them who’ll benefit from using technologies like this. Clients can now get more accurate information about when their project is going to be finished and how much it’s going to cost them. Even though the use of 3D blueprints allows contractors and everyone else involved in the project to coordinate, all the equipment used when building with 2D blueprints is still very much needed. Not only this, every project requires professionals who will make the most of this new type of model and work quickly and efficiently. For example, when it comes to the formwork, experts such as those at TDK formwork are needed in order to get the job done. While all the projects still require equipment and professionals to handle the task, the use of 3D blueprints will help when it comes to any future building management activities. For example, if you want to tear down all the walls on a single floor and form an open-plan office, by using the 3D model, you should be able to get all the information about the time and costs of this project. Not only this, but by turning to 3D blueprints you should be able to adjust the ventilation and heating systems in the new office. With old 2D blueprints, tasks like this would take more time and effort, and chances are they wouldn’t be as accurate. All in all, it’s safe to say that technology is playing a crucial role in everything we do and such is the case with building. Data is more important than ever and there are new ways experts in building industry can harness it. Smart data we can now collect is slowly changing the way every project is being tackled, since it makes cohesion possible and leaves almost no room for errors. And with more buildings being planned this way, we can expect building maintenance activities in the future to become much easier which is something experts always aim at. Technology is advancing at such a rapid pace and we can’t possibly imagine all the new updates building industry is going to see in the years to come.